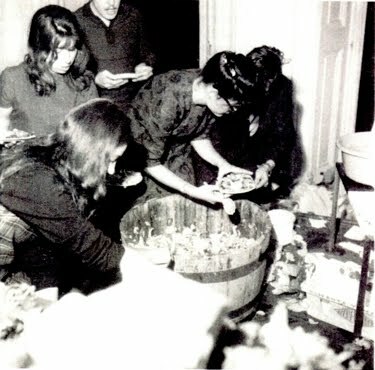 This Fluxus event score was first performed in 1962 at the Institute of Contemporary Art in London and has since been performed by Knowles across the world ever since. It involves a Mozart duo for violin and cello followed by the production of salad by Knowles and company which is then eaten by the audience. The salad is different each time, but the Mozart remains the same. Check out this video documenting the performance in June 2008 at Tate Modern in London.